Contributed by Avery Products Corporation. One year after OSHA’s June 1st, 2016 “Globally Harmonized System” (GHS) label end user deadline, over 21 percent of companies had not yet met all requirements, according to a new survey. The survey, conducted by Occupational Health & Safety (OH&S) magazine and Avery Products Corporation, an industrial and consumer label provider, reveals the perceived top barriers to GHS label compliance. Fortunately, the tools and strategies exist that can help small to mid-sized companies achieve GHS label compliance rather quickly and inexpensively. With higher OSHA penalties making non-compliance more costly, taking advantage of these tools and attaining compliance is more important than ever. “The OSHA GHS label deadline for end users has come and gone, and it is now a costly compliance issue,” says Christine Webb, CSP, a consultant at Avitus Group, a U.S. based provider of services that allow small companies to strengthen and grow their businesses. Some of these services include safety, compliance, training, payroll, and more. According to Webb, who is also a former OSHA compliance officer, last year Congress enacted a bill that allowed federal agencies to raise their fines, which have not been updated in decades. In an industrial setting, chemical formulations that could require GHS labeling range from industrial primers, coatings, and sealants to lubricants, greases, cutting oils, and rust removers to acid, alkaline, and solvent based cleaners to degreasers, surfactants, disinfectants, and sanitizers. According to the survey, over 26 percent of respondents stated that finding and placing compliant GHS content onto the label has been the most challenging part of the labeling process for them. Too often this has involved tracking down difficult to obtain updated safety data sheets, determining the key data, and printing it on the GHS label in the correct format, which does require GHS pictograms. 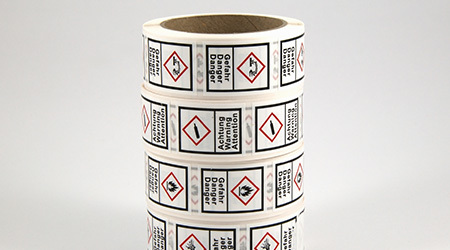 On each GHS label, six specific items of data are required: Product Name or Identifier; Hazard Statement; Signal Word; GHS Pictogram symbols; Precautionary Statement; and Supplier Information. In place of the familiar black and white pictogram symbols previously used in safety labeling, GHS labels require pictogram symbols that convey hazard information with a red diamond border. 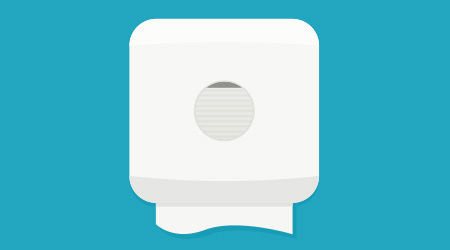 Webb notes that as a safety and compliance consultant, she often shows clients how to use free GHS label software available online and how to print labels from their desktop printers. She says that such GHS label software is intuitive, like using an app or a Microsoft Word template. The crucial GHS label data can be accessed almost instantly from online databases and formatted to GHS requirements. Much of the necessary information can be obtained, in fact, by simply entering a substance’s Chemical Abstracts Service (CAS) number. The software includes the pictograms and GHS compliant statements needed for GHS labeling, allows customizable text, and insertion of company logo or other images. For more sophisticated uses, it can generate 18 types of barcodes and has a sequential numbering feature to add lot numbers or other variable data. No download is required since the cloud-based GHS software operates from the Avery website at www.avery.com/GHSLabel, and GHS, HMIS, and NFPA labels can be securely saved online or to a computer. The software is also capable of printing other safety labels such as OSHA, ANSI, and Arc Flash labels. Over 24 percent of survey respondents indicated that another challenge was finding durable labels that can withstand chemicals and harsh environments. According to Webb, who consults with clients from a wide range of industries, some people mistakenly try to use regular office-grade labels for GHS applications, but find that the labels peel or the ink fades in tough workplace settings. Durable synthetic labels like Avery UltraDuty™ GHS Chemical Labels are chemical resistant, tear resistant, abrasion resistant, and constructed with a high-performance adhesive that is waterproof and passes a 90-day seawater submersion adhesion test. Unlike typical labels, which crack and harden in harsh conditions, they are UV resistant with 2+ years of outdoor UV life. They are also temperature resistant, can be applied as low as 10° F, with adhesive service temperatures that can range between -40° F to as high as 300° F.
For extra protection in harsh environments, Webb likes to use an additional laminate over the top of GHS labels. Avery, for instance, offers such labels with a clear laminate so no lamination machine or additional layer of tape is needed. The material is UV and water resistant, and resists scuffing, tearing and smudging, making them ideal for use in warehouses, storage areas and worksites. According to the survey, almost 11 percent of respondents stated that “finding labels that fit my containers” was a problem. For end users, GHS compliance is required for chemical formulations purchased in bulk containers for cost savings, such as barrels of industrial cleaner that are transferred to smaller “down-packed” containers, such as spray bottles, for portable use. Containers requiring GHS-compliant labeling can vary in size from 55-gallon drums down to little test vials. Such GHS labels are available in a full range of sizes to fit drums, totes, pails, cans, jugs, containers, and even small bottles. They can be applied to a variety of surfaces such as metal, plastic, glass, ceramic, polycarbonate, painted surfaces, and more.